Product Detail Summary: Are you ready, kids? 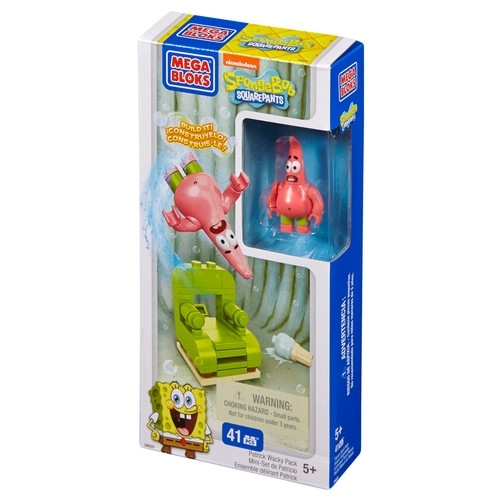 It’s time to get zany with the Mega Bloks SpongeBob SquarePants Patrick Wacky Pack! When it’s time to get moving, you can build the bright green chair, flip the switch, and send Patrick flying through the air! Ideal for ages 5 and up.